A hair transplant clinic in Windsor has been shut down for breaching infection control practices. Providing safe hair transplants should be one of the most important principles of any hair transplant clinic. Clearly this clinic had made some serious errors. In this blog we explore how we make hair transplants as safe as possible for patients worried about infections. What did the Windsor clinic do wrong? What happens to the clinic’s patients? If you have visited The Treatment Rooms London for your hair transplant you will know how much our team goes to great lengths to ensure you get personalised care. Every patient starts their hair loss journey with us and we stay with them for life. At The Treatment Rooms London we are reminded of the incredibly sad NHS disaster whereby patients were given contaminated blood products. Many have gone on to be infected with HIV and Hepatitis. For those affected we understand this must be very upsetting. To find out where you local GP is please click here. 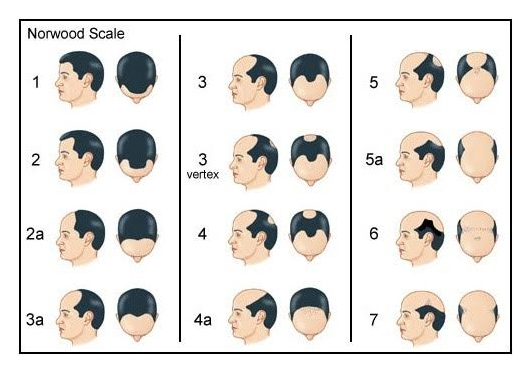 How can you ensure you have a safe hair transplant? As we have discussed before in our blog about the 5 considerations you must take before deciding on a hair transplant, you must take your time to find out as much as you can about your hair transplant clinic. One check you can do is see if the hair transplant clinic has been registered by the CQC (Care Quality Commission). This regulatory body works to ensure safe, quality clinical practice in every healthcare clinic including hospitals. By registering with the CQC, the hair transplant clinic has gone through the rigorous safety and quality checks that the CQC regulates under the Health and Social Care Act. Secondly, you can check whether your surgeon is registered with the British Association of Hair Restoration Surgery (BAHRS) and General Medical Council (GMC). These professional associations mean your hair restoration surgeon is regulated and operates to their strict codes of conduct. If you are worried about your hair loss and want to seek professional advice about safe hair transplants, then please contact our Hair Transplant surgeons today. Click here to fill out an enquiry form! Looking for a hair transplant in the channel islands? Jersey Island Hair Transplants are coming soon, provided by the UK’s renowned The Treatment Rooms London. The Treatment Rooms London is expanding internationally. We are now providing our renowned hair transplants to the residents of Jersey. Male and female hair loss sufferers will have access to our hair loss specialists and surgeons. Jersey Island Hair Transplants- how will it work? The Treatment Rooms’s surgeons will be coming to Jersey on a regular basis to hold hair loss clinics. By seeing a hair transplant surgeon face to face you will be able to have a thorough consultation about why you are losing hair. After reaching a diagnosis for why you are losing hair, our surgeons will suggest the correct treatment to stop any further loss and to restore hair in bald areas. To see when the surgeons are next in Jersey simply contact us today by clicking here. We will let you know when they are next holding their hair consultation list. What if you definitely know you would like a hair transplant? Some patients we see in clinic have done their research and know they would like a hair transplant. This is absolutely fine and we welcome patients to find out about any medical procedure they are considering. Our hair transplant surgeons will first go through a full consultation to make sure a hair transplant is in your best interests. If it is, planning a hair transplant is the next stage. We will double check you have a good donor hair supply and ensure your concerns are addressed around what type of hairline and hairstyle. Once this has been discussed we can then plan your operation day. Where will the hair transplant take place? The Treatment Rooms London will be operating in St Helier. Unlike other hair transplant clinics, we make sure we operate in the same place you live in. That way you can go back to the comfort of your own home after your operation. Our surgeons will be available to answer any questions in the lead up to and after your hair transplant procedure. By coming to Jersey we take our renowned hair transplant service already provided in London and bring it to the Channel Islands. I’m interested- how do I book? Booking is easy- simply contact us by clicking here and we will get back to you with the days and times we have available. All consultations will take place in St Helier. As South London’s first Hair Transplant clinic, Time and Leisure Magazine were interested in featuring The Treatment Rooms and its hair transplant results in their magazine. Time and Leisure wanted to explore a case performed by The Treatment Rooms whereby the hair transplant result has given a patient new found confidence. The Treatment Rooms told Time and Leisure a story about a patient who underwent a hair transplant and 4 months later was skydiving- testing his implanted hairs to the max! 2018 has been a busy year- the clinic has been fully booked providing patients with life changing hair transplants and currently there is a 6 week waiting period for availability! The Treatment Rooms is doing its all to increase its capacity to carry out more procedures per week so feel free to pop in and see our Surgeons.